Available with us is a beautifully designed range of Partition Printed Sweet Box that is made in compliance with the requirements and specifications of our esteemed clients. 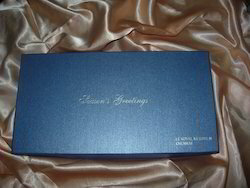 These Boxes are specially designed by our experienced designers to pack chocolates in a safe manner. We offer our clients with trendy Traditional Sweet Boxes In Chennai ideal for personal and professional occasions and ceremonies. These are available to our clients in various vibrant colors, sizes, shapes and designs as per their requirements. 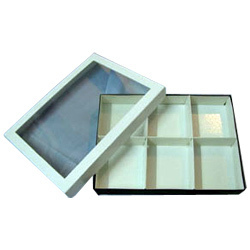 Our sweet boxes can be divided into various sections to store different sweets in larger quantity. Traditional Sweet Boxes in chennai. Looking for Sweet Boxes ?